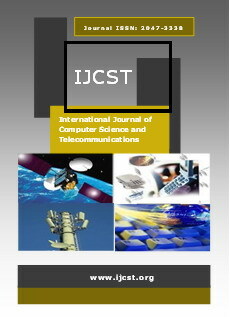 International Journal of Computer Science and Telecommunications is a peer-reviewed, open access scholarly journal that publishes original research works and review articles in all areas of the computer science including computer networks, communications, telecommunications and its applications for wired and wireless networks. IJCST mainly focuses and prefers papers with successful practical work, comprehensible description, and clear framework for mathematical modeling and algorithm. IJCST provides a challenging forum for academic, scientists and industrial professionals to discuss recent progress in the area of future generation communication, information security and networking. Authors are solicited to contribute to the journal by submitting articles that illustrate research results, projects, surveying works and industrial experiences.